Your child needs to spend time with you, enjoying each other's company. He wants to play with you and feel like you are listening. Nothing helps to boost a child's self-confidence more than knowing his parents enjoy spending time with him. 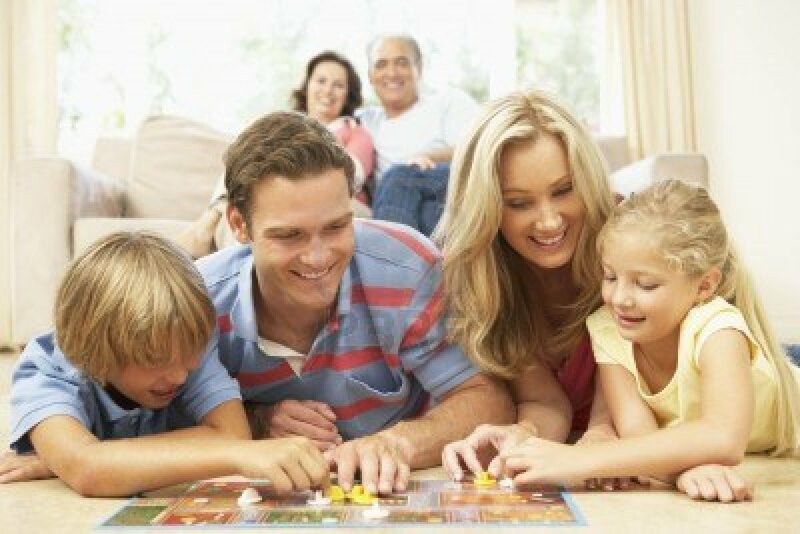 Game nights can provide the perfect atmosphere for families to have enjoyable time together. Board games for kids can provide a potential for learning new concepts and skills while satisfying kids' need to compete. When playing board games, children learn how to take turns and be graceful losers. 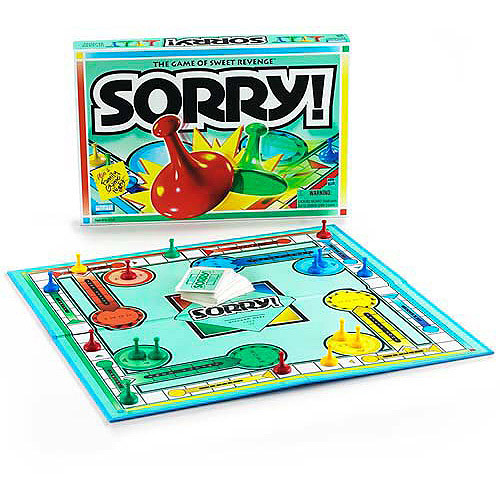 You can turn board games into a lesson of good sportsmanship. It's easy for you to give into the urge to let your child win every game because you don't want to hurt his self-esteem, but this is actually one of the worst ways to help your child. Children will win and lose throughout life, so it's important to teach them how to win graciously and handle the disappointment of losing so that they are better prepared to take on life's challenges. 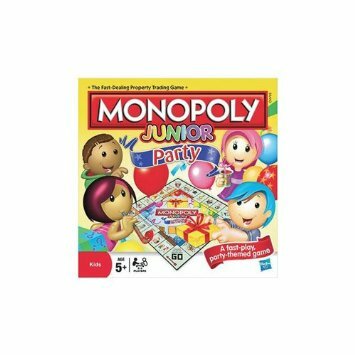 Also, board games are excellent for your child's cognitive development.Even very simple games require skills like color recognition, counting, strategy, or matching. Games provide an environment where children can be engaged and have fun while they learn. Monopoly has been popular with people of all ages for years. In the junior version, children can set up ticket booths at boardwalk attractions to earn revenue when other players land on them. 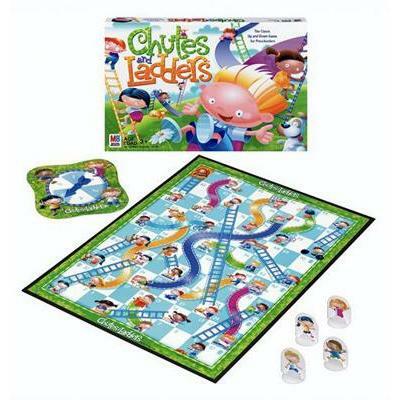 Move around the board and try to earn more money without paying for landing on opponents' spaces. Whoever has the most money when the game ends wins. Every player gets a ghost to move through the maze trying to find the treasure. The walls will shift as you play, which can make it harder to find which way to go. This will also teach kids how to address a challenge and work around obstacles as they progress through the game. Spin the wheel to see where your pawn should move. If you land on the base of a ladder, you can move up; but if you wind up at a chute, you are going to slide back down again. Whoever gets to the other end of the board first wins. Move your pieces around the board trying to get them back into the home base. Remember, your opponent can bump you off your space, making you switch spots. Hide ships of a variety of sizes on your game board, and then take turns with your opponent trying to "shoot" each other's targets. 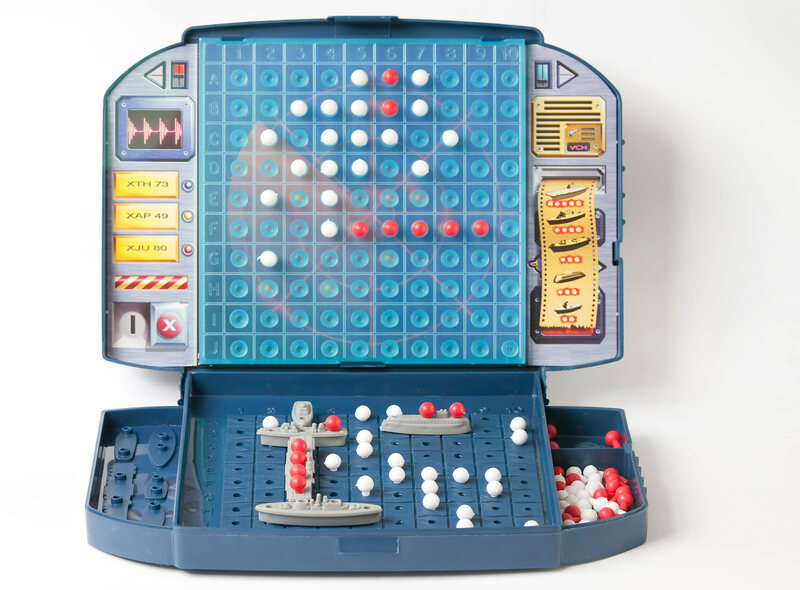 The first one to completely sink the opponent's ships wins. 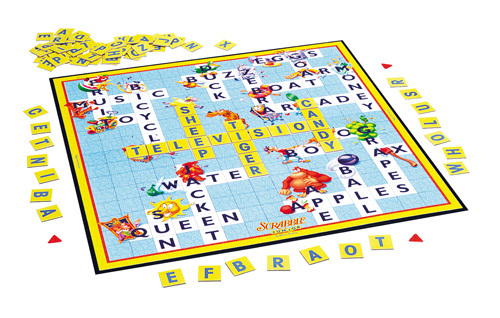 Players will receive a set of tiles and will take turns using them to spell out words on the board. You will earn points by completing words. To make it easier for kids, the words are already spelled out on the board and are accompanied by picture clues. 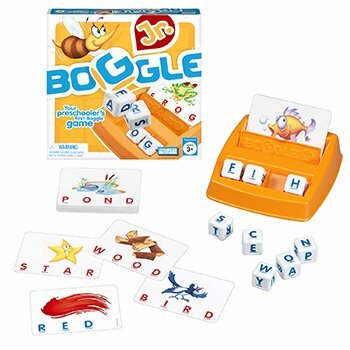 Boggle Junior is a slightly easier version of the classic game for older kids. This version gives players pictures to go with the words. 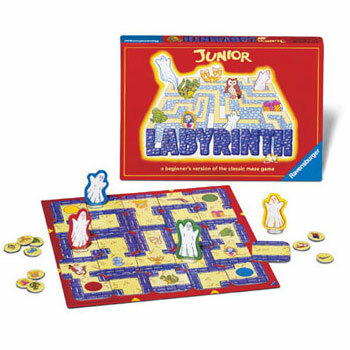 Place a card on your tray and roll the six-sided die to get the letters you need to spell the word out. You can hide the spelling on the card for older children to play. 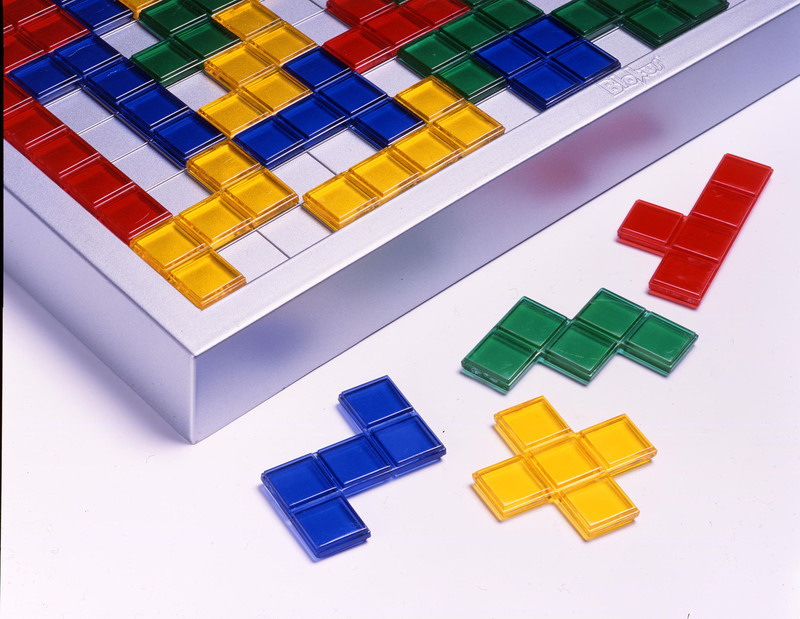 Get as many pieces as you can onto the game board. Every one of your pieces must touch another piece that is the same color at the corners, which makes this a bit difficult to complete. Bug Trails puts a twist on the classic domino games. Each bug piece has six legs, which need to be matched up with at least one leg with the same color from another piece that is already in the play field. If you can only match one leg, you need to draw another bug from the bug bag; but if you match two, you don't need to draw. You can put one of your pieces back if you match three legs. The first player that manages to get rid of all his bugs is the winner.